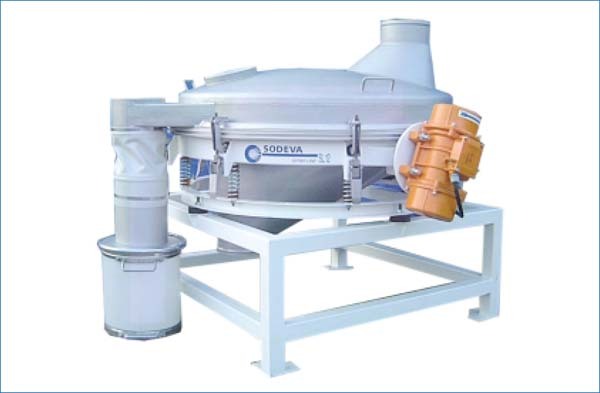 – Control and safety sieving. – Dry- or liquid-phase separation with low rejection rate. 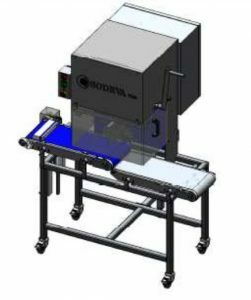 “Full passage” sieving, with product passing directly onto the sieving mesh and no need for a containment zone for high volumes. Reduced height to facilitate integration into industrial installations. Made from passivated stainless steel 316 L. Polished mirror finish (RA 0.8) available, joints and adhesives, food quality. Easy to adjust and personalise with variable vibration intensity and motor inclination. Parts quick and easy to remove. Several declogging systems: Ultrasound (SODEVA Soniscreen system – patented), balls, brushes, air jet, etc.